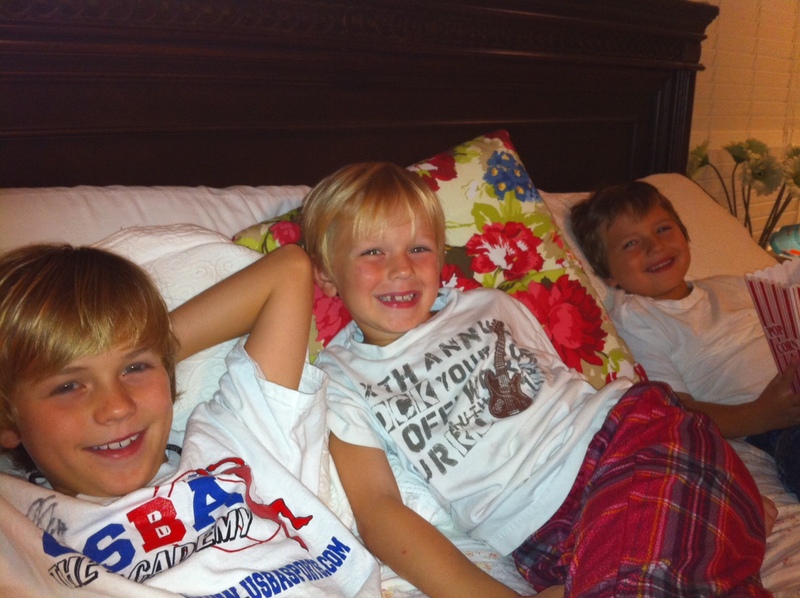 Last night was one of those special nights with my 3 boys. My husband was out-of-town on business and my girls were spending the night out and so it was just me and my boys. We made yummy strawberry banana smoothies. Mix in the blender until smooth. It’s healthy and tastes great! We also made some popcorn with butter. Yummy! It doesn’t take much to make a kid’s night. Some popcorn, a smoothie and most of all our time, goes a long way! NO FAIR! I want one! 🙂 Glad you had a fun night… See you TOMORROW!